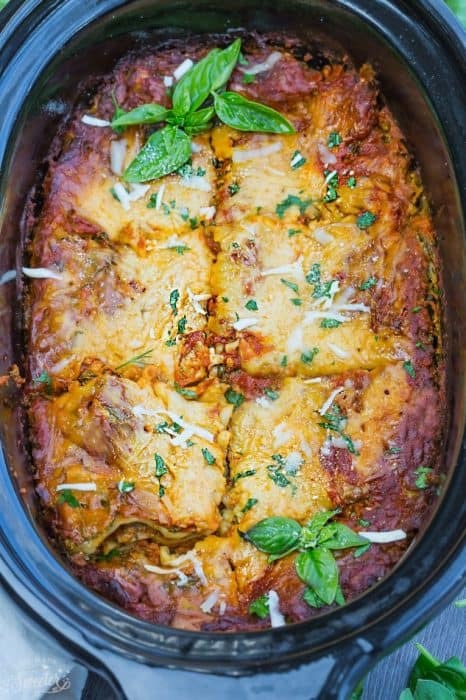 Slow Cooker Lasagna + Giveaway + Video! 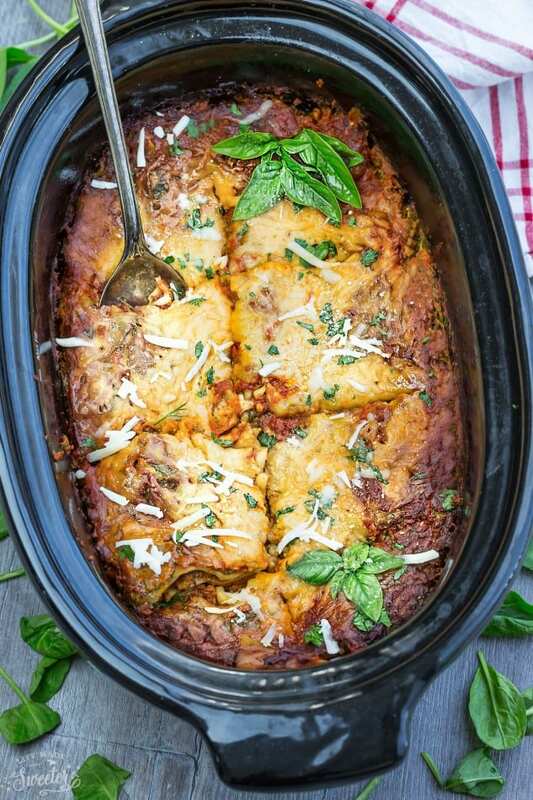 Slow Cooker Lasagna – makes the perfect easy comforting meatless meal. Best of all, this entire recipe cooks up all in the crock-pot! Now with a step-by-step video! 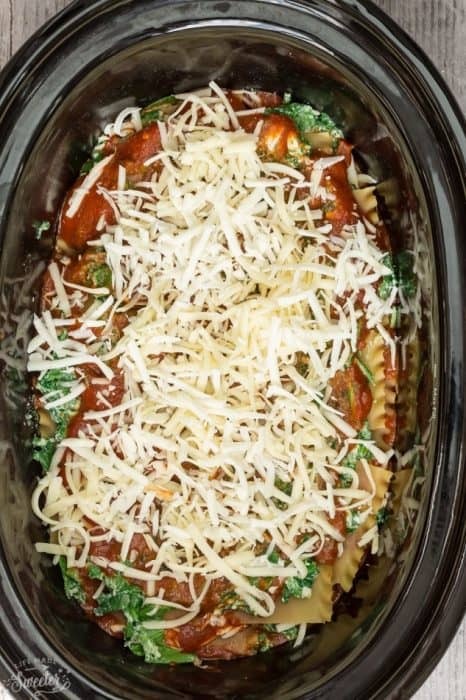 This Slow Cooker Lasagna is just one of the awesome dishes you will find in there. Easy crock-pot recipes are my favorite and I loved that this entire recipe was cooked in the slow cooker! 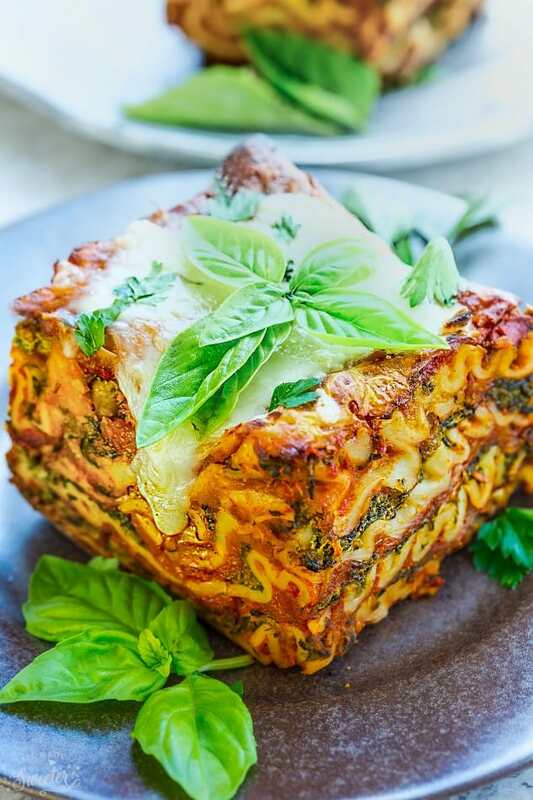 It’s the perfect meal for Meatless Monday and full of gooey layers of cheese and yummy greens in every bite. I adapted the recipe slightly with what I have and to suit my families tastes and have listed those in the recipe below. Instead of just frozen spinach, I used a mix fresh spinach and kale. 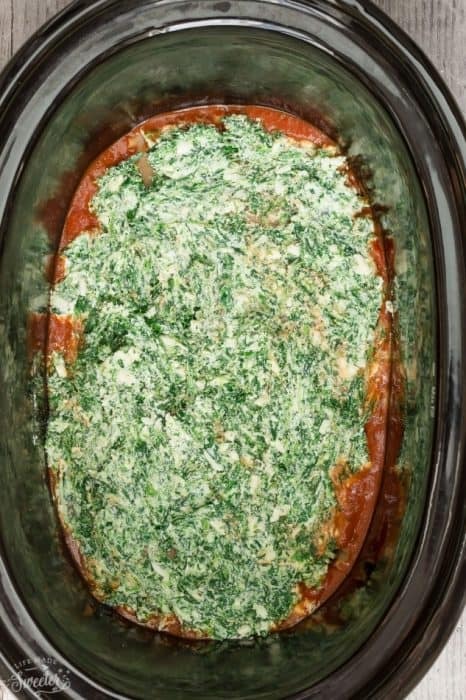 This Slow Cooker Lasagna was seriously SO delicious and a big hit with my family! 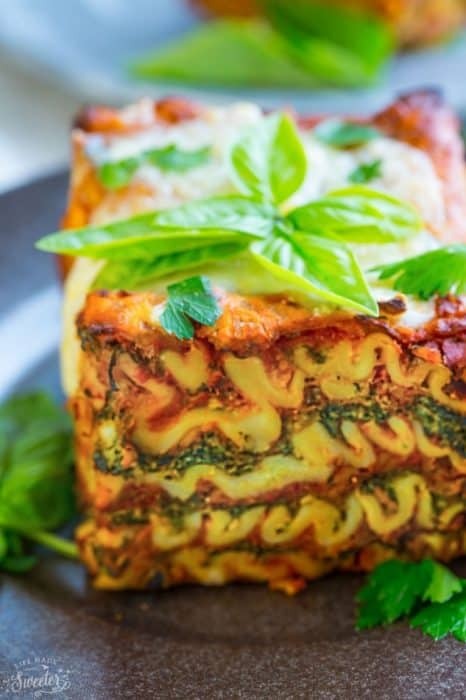 Even my hubs who is a big meat-eater couldn’t get enough so you can bet this lasagna will be showing up regularly around here again. In a large bowl, combine the spinach, ricotta, egg,parsley and 3/4 cup of the Parmesan until well blended and set aside. In another large bowl, combine the marina sauce, water, tomato paste, Italian Seasoning, garlic powder and crushed red pepper flakes and set aside. Spoon 1/2 cup of the sauce into the bottom of a large oval slow cooker and spread it into a thin layer. Place 3 lasagna noodles on top of the sauce, breaking a noodle into pieces (if necessary) in order to cover most of the blank spaces. Dollop 1/4 of the spinach-ricotta mixture into small spoonfuls on top of the noodles and gently spread it into an even layer. Spread 1 1/2 cups marinara sauce on top of the spinach-ricotta mixture. Sprinkle the top of this layer with 1 cup of the shredded mozzarella and 2 tablespoons of the remaining grated Parmesan. 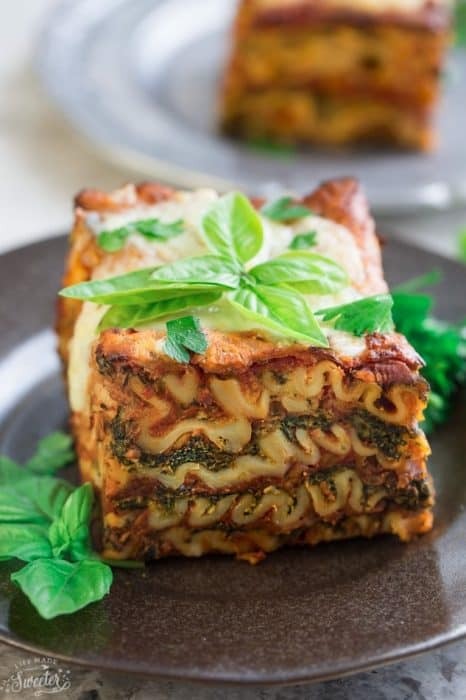 Repeat these layers 3 more times, starting with the noodles and ending with the mozzarella and Parmesan topping. Cover the slow cooker and cook on low for 3 1/2 to 4 hours, until the noodles are tender but not overcooked. 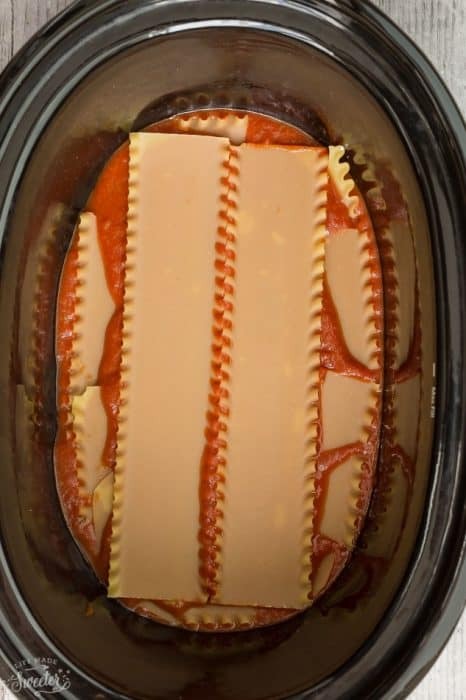 Turn off the slow cooker and allow the lasagna to rest for 30 minutes before slicing and serving.